Each issue has content related to dining, nightlife, art, community, music, family, sports and more. Fargo Monthly is a free, monthly publication that focuses on what makes the Fargo-Moorhead community unique. It strives to enhance the quality of life for the people of the Red River Valley by getting them excited about their community and all it has to offer. Fargo Monthly’s concentration is on everything local: theater, business, culture, art, music, nightlife, dining, events and more. We have fallen in love with the area and want you to do the same. 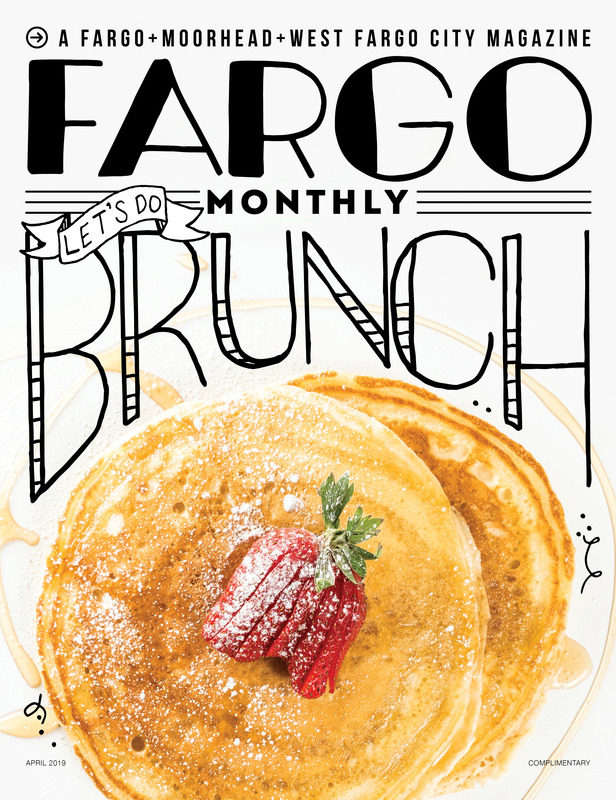 Copies of Fargo Monthly are available at more than 500 Fargo-Moorhead locations and digitally. If you have any questions about upcoming issues, contact Fargo Monthly Editor Alexandra Martin. Check out all of our past issues on the archives page. This month, we are dove forks first into all the hottest brunch spots. Whether you are looking for a birthday brunch with the girlfriends or some carb-filled fuel to break a hangover, Fargo restaurants have you covered. We hope that after reading through this, you’ll think about becoming a “morning person,” after all.